We travel for varied reasons. Reasons which we may or may not divulge to the public. But certainly, in all these travels, we create memories - unforgettable ones. And it becomes even more memorable when experienced in style and luxury, not necessarily extravagant. 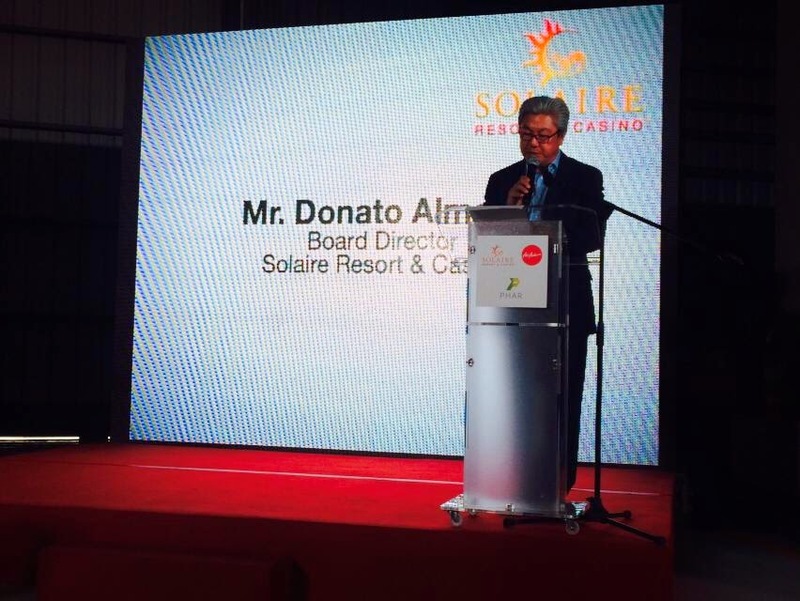 It is no secret that Solaire Resort and Casino is the first property to open in the Entertainment City, a government sponsored economic development zone. Experience with this luxury destination resort is stamped with an unparalleled brand of service style, world-renowned Philippine hospitality, top of class luxurious accommodations, diverse dining options and impressive gaming facilities, which have all contributed to the way people view resort casinos in Manila. Then came this breakthrough branding project in the Philippines, with the introduction of Sky Solaire. 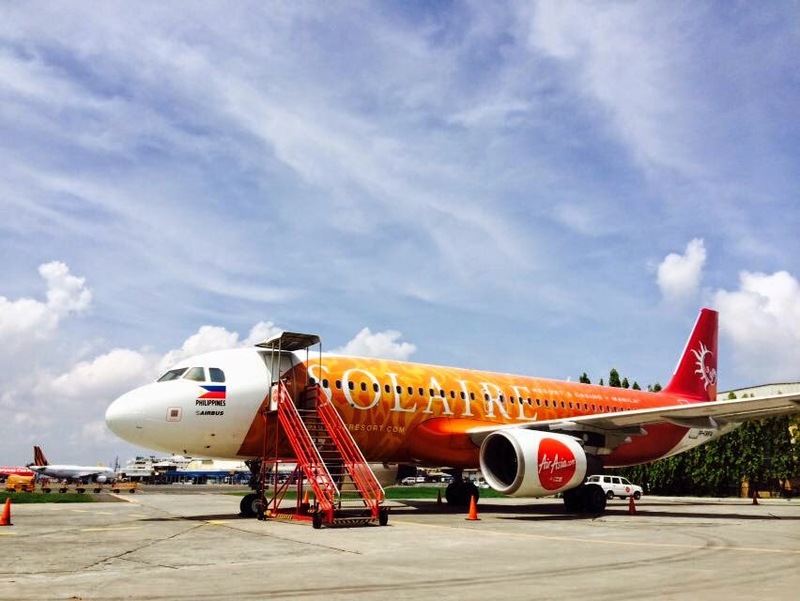 Solaire is the first-ever consumer brand in the country to fully wrap and brand a commercial airline, with an underlying thrust of further promoting tourism in the Philippines and in greater Asia. 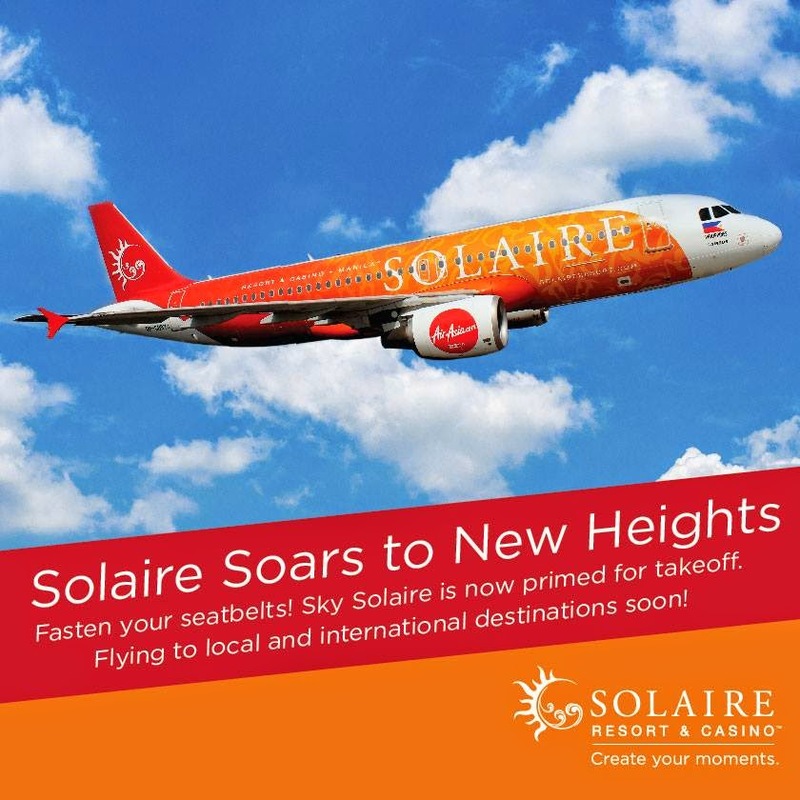 The dynamic collaboration between Solaire and Air Asia represents another step forward in an on-going journey towards providing modern travel and leisure experiences for its customers, with a fresh new approach to their target market. The said partnership will facilitate more passenger and cargo traffic in both regional and domestic flights, and foster stronger trade, cultural and tourism ties within Asia. 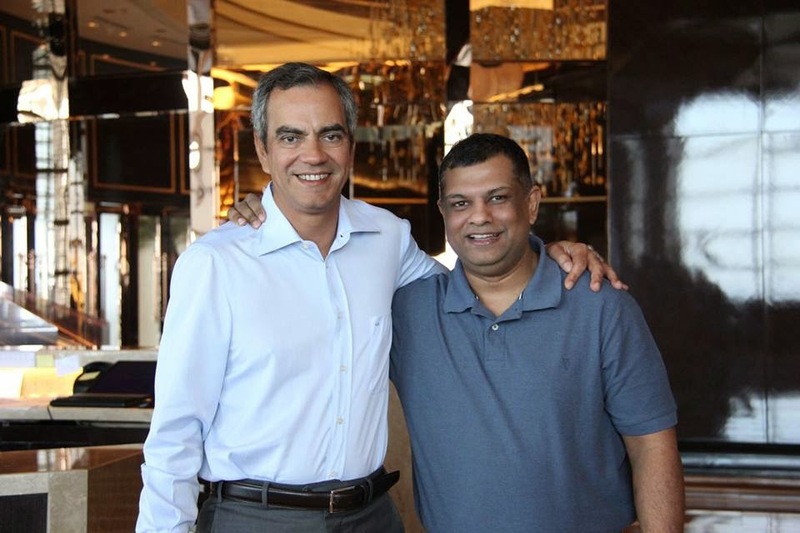 "This milestone is a key understanding between two passionate brands with entrepreneurial and dynamic mindsets. This unprecedented branding project in the Philippines may be taken as a "leadership statement" which attests to Solaire's strong growth momentum in the industry. Yes we are again raising the bar, this time we're taking it to the skies," says Donato Almeda, Board Director of Solaire Resort and Casino. Currently, Solaire's brand colors are donned by just one airplane, but nothing is stopping them from further rolling out this innovative wrap on additional aircrafts in the future with broader partnership arrangements. The campaign will continue until 2016 and it is envisioned that this high-impact ad in the sky will generate more hype and publicity as the partnership progresses. 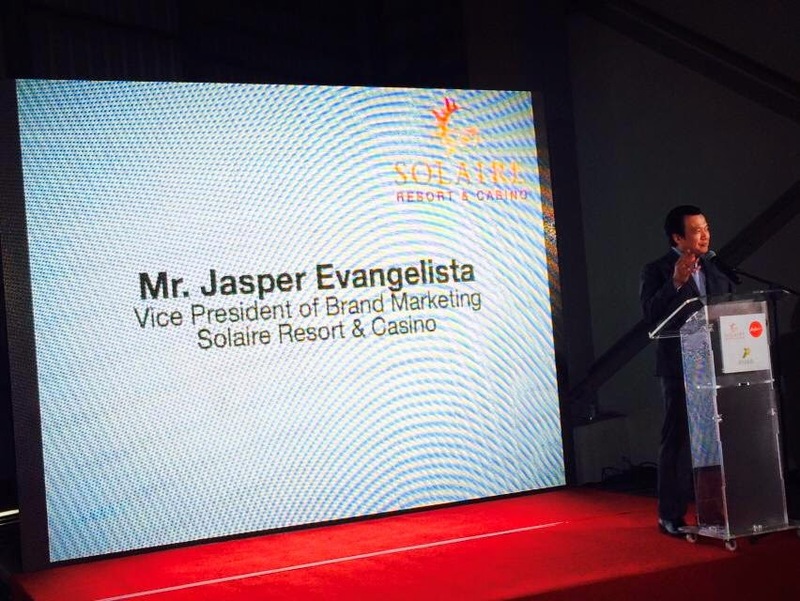 Jasper Evangelista, Vice-President of Brand and Marketing, Solaire Resort and Casino said: "This aircraft-branding campaign is a strategic branding initiative which would allow us to literally take our brand to greater heights. We have created amazing moments for our customers since Solaire launched last year, and now we're aiming to further connect with our local and foreign guests and travelers by reinforcing our brand presence in the country's airports. Sky Solaire will enable us to get immediate traction on this effort and even take it to a level all its own. In-line with Solaire's "Create Your Moments" campaign, which highlights Solaire as the perfect place to create unforgettable memories, this fitting partnership with AirAsia, one of Asia's leading and multi-awarded airlines in their category, harmoniously evokes the key thrusts of customer service, hospitality, and excitement for both their industries. This marketing initiative is also primed to open up new revenue streams for both the integrated resort and the airline carrier. 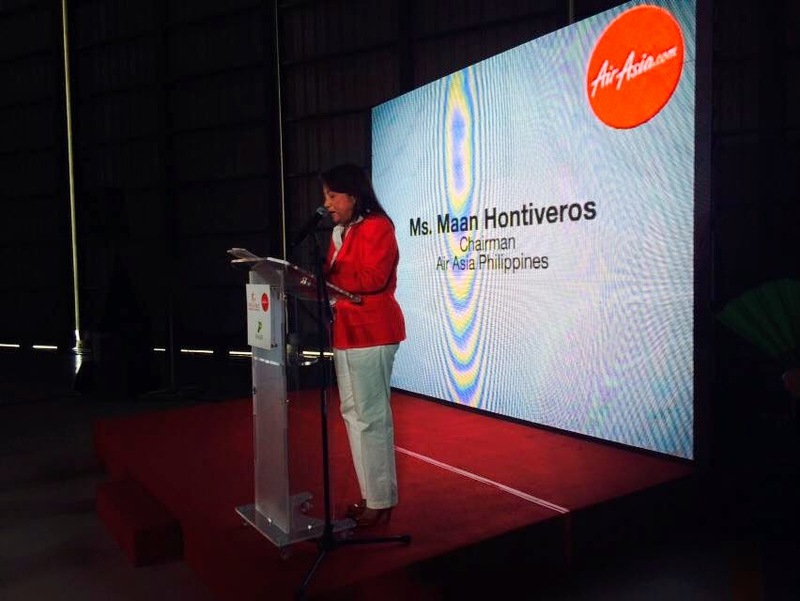 Air Asia Philippines Chairman Maan Hontiveros said, "AirAsia Philippines is a sociable and innovative brand. We also take pride on our collaborative nature. This new livery demonstrates our creative approach to partnerships and marketing opportunities especially with companies that support our vision to grow tourism. We are thrilled to carry Solaire's brand in the sky and on the grounds at the airports here and abroad, extending to as far as our destinations in Malaysia, China and Korea." With my experience of utmost comfort, elegance and luxury on both brands, the unveiling of this partnership is to watch out for. The maiden flight of the popular Airbus A320 is scheduled to embark this July.